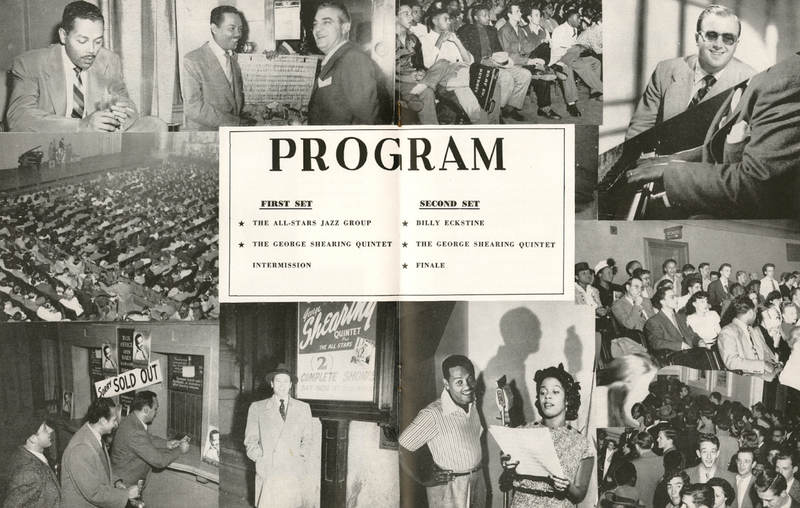 Baynard: Cornet and Vocal on "Dr. Jazz"
Clarence Hall: Vocal and Piano on "Honeysuckle Rose"
From the back cover: With the exception of the opening number, the tight and precise "March Of The Bobcats," which is the product of a later session, the jazz here was recorded during a lengthy night session March 4, 1968. Most of the tunes come from late in the session when the Bourbon Street Five was warm, loose and swinging easily. 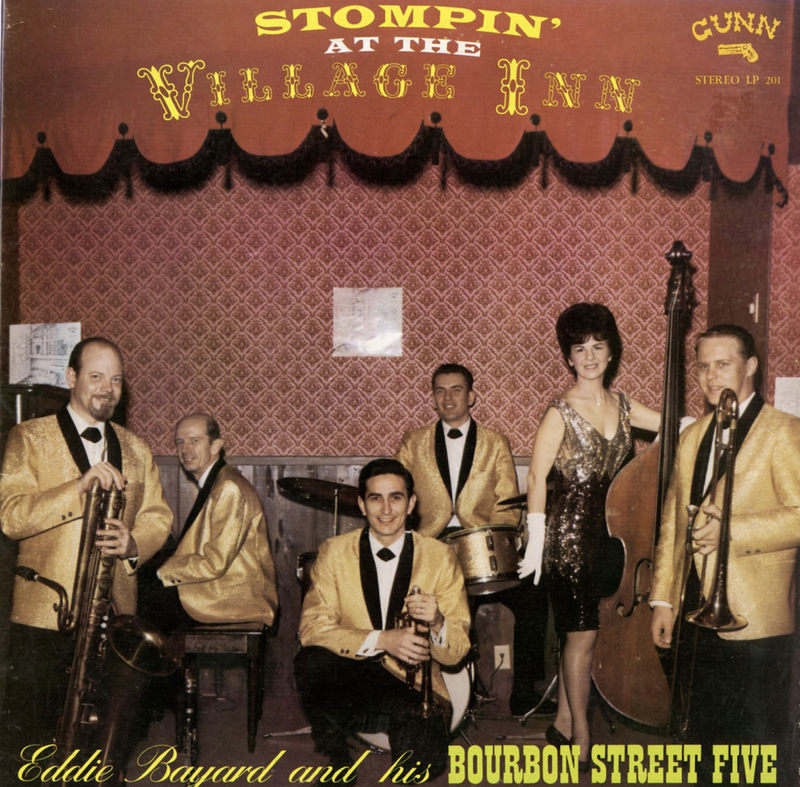 For this recording, the Bourbon Street Five was enriched by the addition of Art Sandly, a jazz veteran who regularly plays with the greats of Dixieland in Chicago, where he is a member of the band at the well known Showboat. 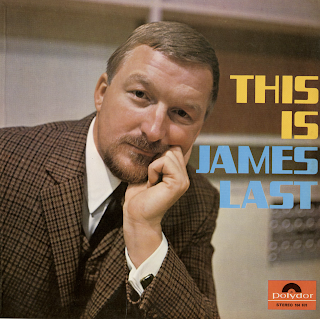 He is heard throughout, and his virtuosity is spotlighted in "Blue Skies" Also sitting in is Clarence Hall, Dayton's jazz professor and long a leader of bands in his own right. He sings "Honeysuckle Rose"; the piano work is his, too. 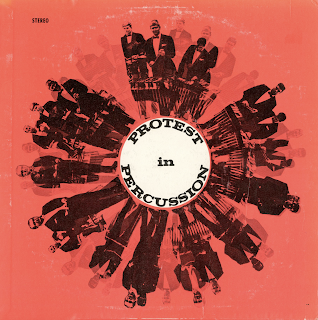 From the back cover: The percussion ensemble heard on this album demonstrates a facet of percussion training at W.V.U. 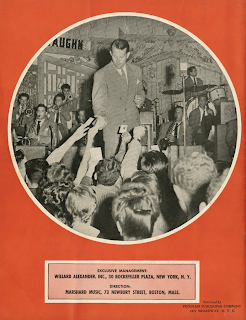 which is not apparent to the average concert goer - that of "popular" percussion music. This type of percussion music is not often heard on campuses because of the emphasis on percussion "art" music in the formal concerts through-out the academic year. Hence, "Protest In Percussion" affords an opportunity to show the results of percussion training in popular music, which makes up such a large segment of the professional demands made of percussionists in the music world today. Also from the back cover: Philip J. Faini is a product of the Creative Arts Center, Division of Music, at West Virginia University, where he received his Bachelor of Music Degree in both Applied Percussion and Music Education and a Masters degree in Theory and Composition. 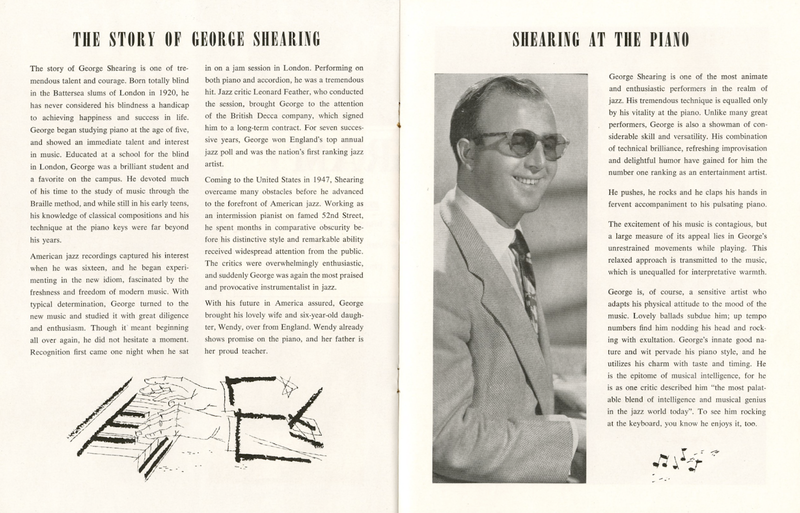 He has studied percussion with Roy C. Knapp, Jose Bethancourt, Irvin Honsa, Harvey Biscun, and Frank Lorince. His professional career includes radio, television, symphony as well as work with a number of name bands and singers. 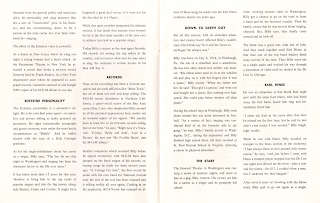 He was also a staff member at the Fred Waring Music Workshop at Delaware Water Gap, Pennsylvania. He has had a continuing career as a professional arranger and has composed and arranged numerous works for Band, Orchestra, and Percussion. 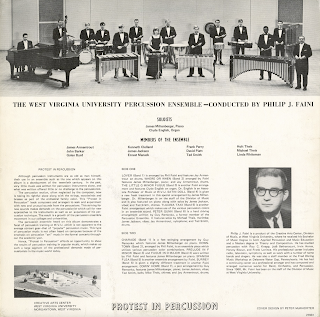 Since 1960, Mr. Faini has been on the staff of the Division of Music at West Virginia University. 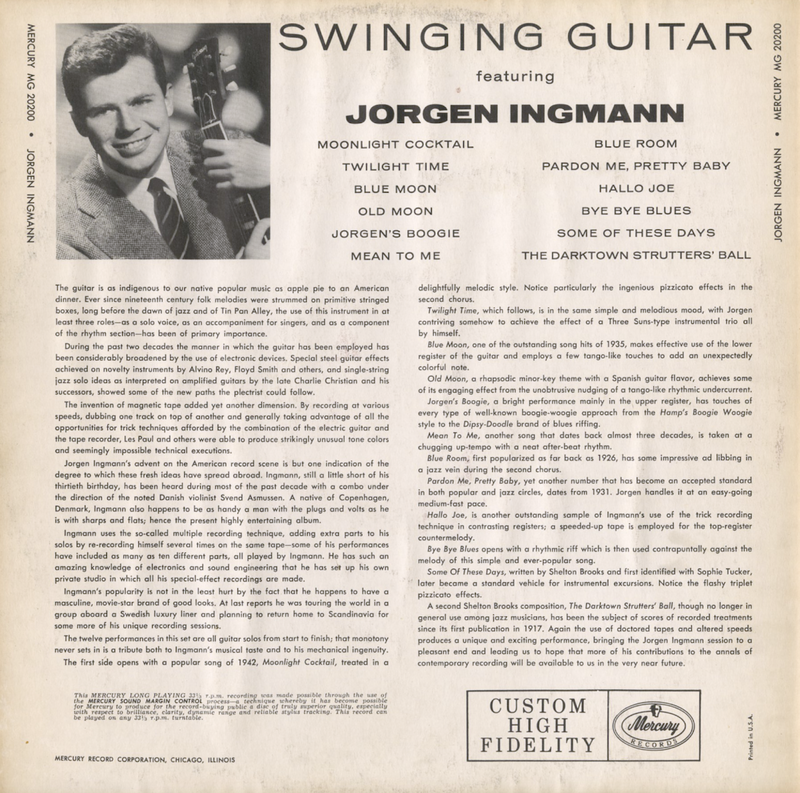 From the back cover: Jorgen Ingmann's advent on the American record scene is but one indication of the degree to which these fresh ideas have spread abroad. Ingmann, still a little short of his thirtieth birthday, has been heard during most of the past decade with a combo under the direction of the noted Danish violinist Svend Asmussen. 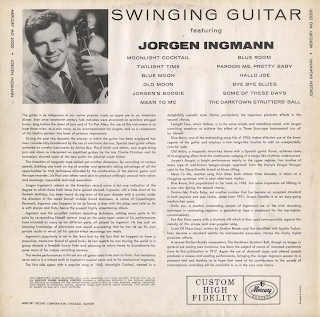 A native of Copenhagen, Denmark, Ingmann also happens to be as handy a man with the plugs and volts as he is with sharps and flats; hence the present highly entertaining album. 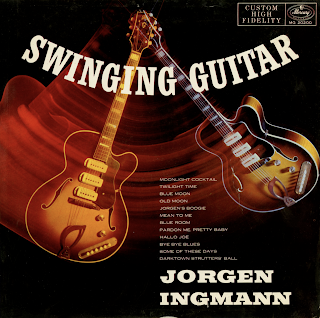 Ingmann uses the so-called multiple recording technique, adding extra parts to his solos by re-recording himself several times on the same tape – some of his performances have included as many as ten different parts, all played by Ingmann. He has such an amazing knowledge of electronics and sound engineering that he has set up his own private studio in which all his special-effects recordings are made. 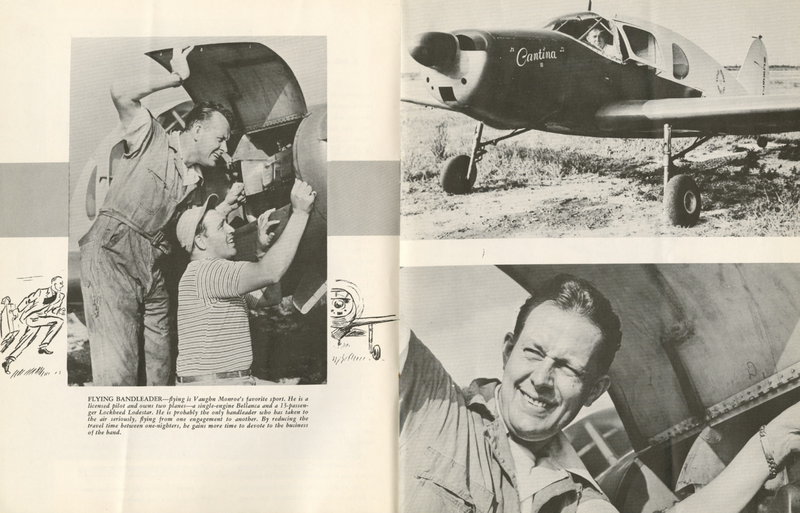 Ingmann's popularity is not in the least hurt by the fact that he happens to have a masculine, movie-star brand of good looks. At last reports he was touring the world in a group abroad a Swedish luxury liner and planning to return home to Scandinavia for some more of his unique recording sessions. 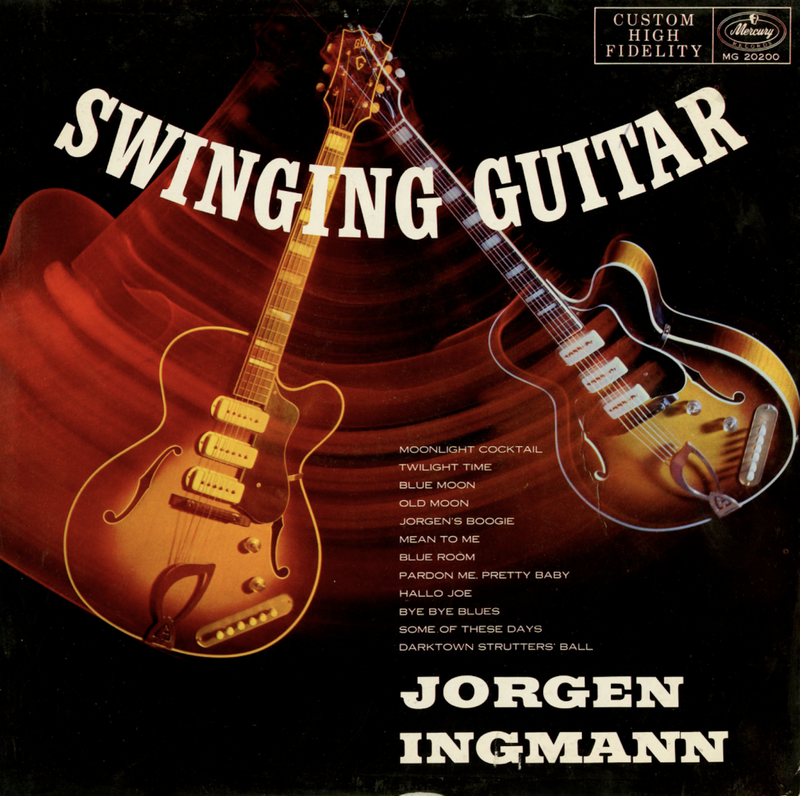 The twelve performance in this set are all guitar solos from start to finish; that monotony never sets in is a tribute both to Ingmann's musical taste and to his mechanical ingenuity. 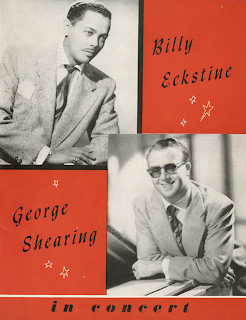 From Billboard - May 7, 1957: Fine novelty instrumental stuff for jocks and for all varieties of guitar lovers. Danish Ingmann does a Les Paul with multiple taping, speed alterations, etc., but with a subtle tasteful style of his own. Great sound enhances some clever effects. Almost any one of the 12 tracks will sell it. 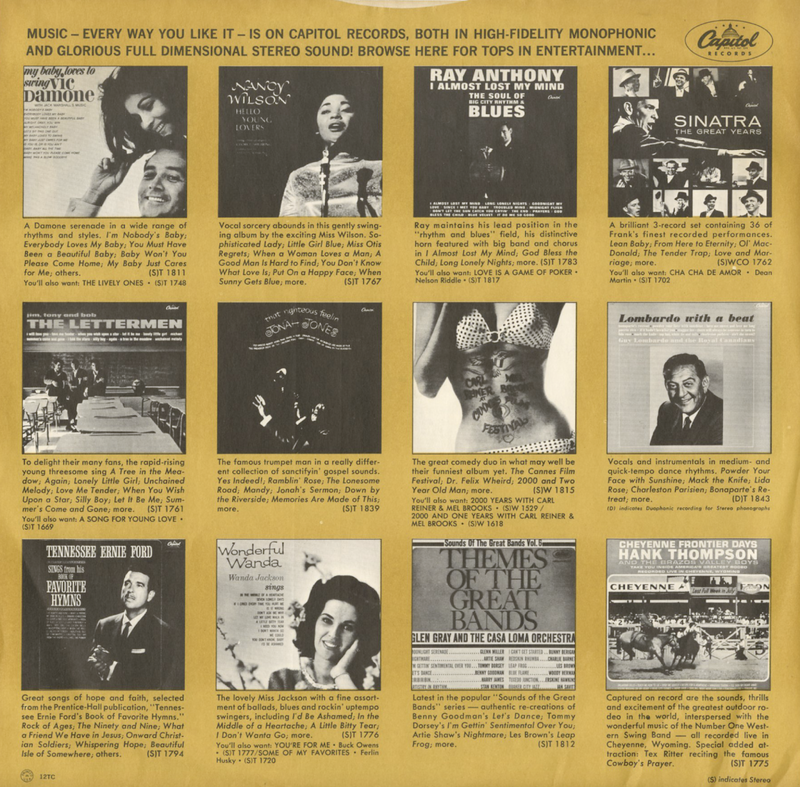 Try "Bye, Bye Blues" or "Hallo Joe." If pushed it can sell. From the back cover: "Pops" is an affectionate and respectful appellation given to just a few of the elder statesmen of jazz. 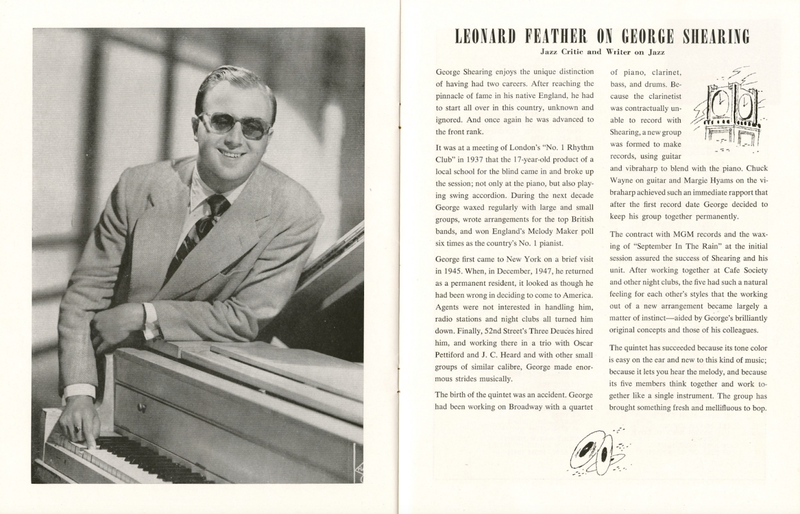 Friends and fellow musicians call Louis Armstrong "Pops," and Benny Goodman, who started playing at the age of fifteen, has also reached both the age and the degree of accomplishment that warrants his being accorded the title too. 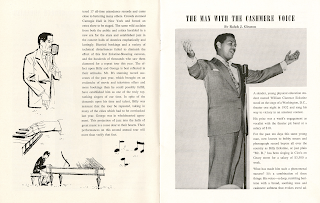 But, to be just a little facetious, Sidney "Pops" Bechet is the daddy of 'em all. Born in New Orleans, on May 14, 1897, Bechet began playing the clarinet while still in knee pants and is reputed to have "sat in" with the great Freddie Keppard's band at the age of eight. 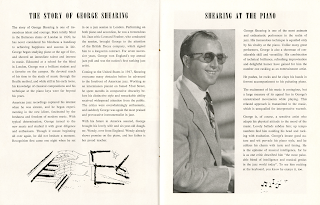 His musical precocity attracted the attention of famed clarinetist, George Banquet, who subsequently gave the youngster some formal instruction. 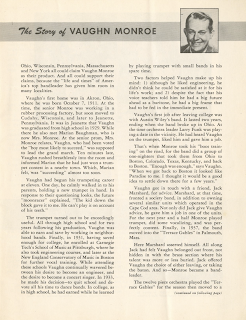 At fourteen, young Sidney had his first steady professional job - with the Eagle Band. That was in 1914. 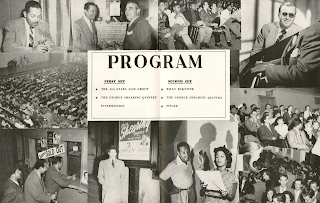 The next year, Clarence Williams, the song writer, publisher, and pianist, took the teen-ager on a tour of Texas with a vaudeville unit, and, soon after their return, Sidney was grabbed up by King Oliver for the Olympia Brass Band. Then, in the summer of 1917, he left New Orleans for Chicago. In the Windy City, he worked at both the DeLuxe Cafe with Freddie Keppard and at the Pekin with the lengenary pianist-singer, Tony Jackson. In 1919, he became a member of Will Marion Cook's Southern Syncopators and toured Europe with that band that year. It was in London that Ernest Ansermet, the famous Swiss conductor, heard Bechet and wrote what was probably the first published serious appraisal of jazz. Prophetically, Ansermet wrote, "His own way is, perhaps the highway the whole world will swing along tomorrow. 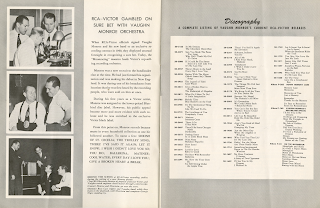 Bechet remained in Europe until 1922 and then returned to New York, where he recorded with Clarence Williams and Louis Armstrong. In 1925, he again left for the continent with a show called "The Black Revue," leaving after a year to join a band that toured the Soviet Union. 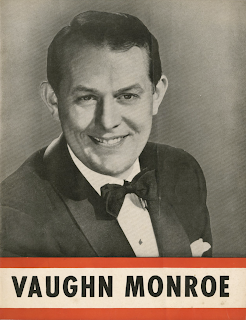 Back in Paris in 1927, he rejoined "The Black Revue" and led the show's fourteen-piece orchestra. 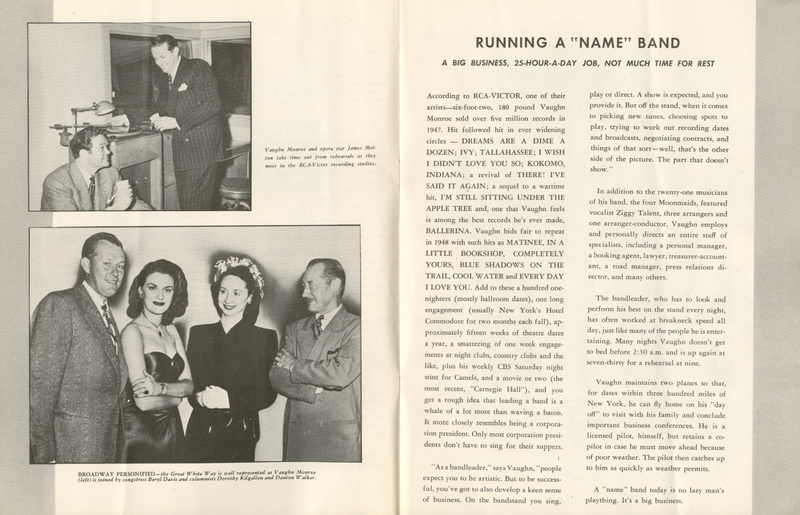 In 1930, he came back to New York with Noble Sissle, with whose band Bechet was to play intermittenly for the next decade. 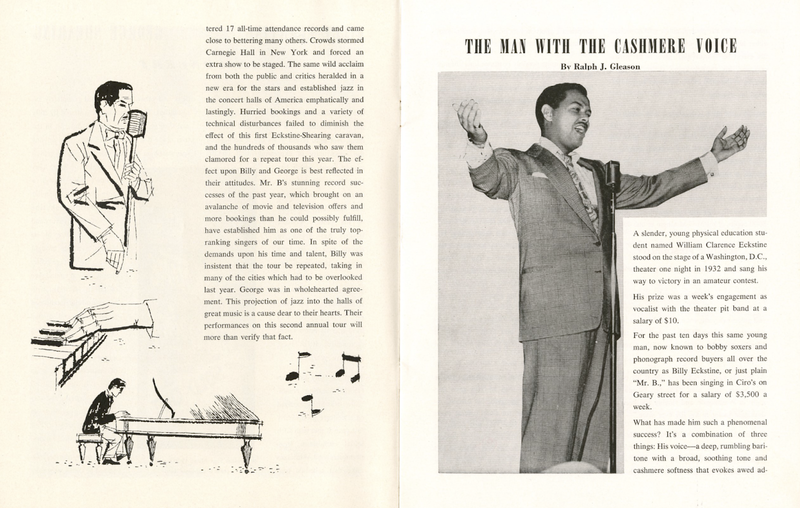 After leaving Sissle, Sidney Bechet retired temporarily from the music business to set up a small tailor shop in Harlem. 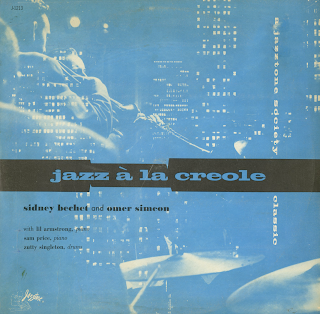 But, with the resurgent interest in brought about by the Swing Era, Sidney once again turned to music and recorded and played with small groups in New York, Boston, and other jazz centers. Soon after the end of World War II, Bechet once more went to Europe and has since settled in Paris. These recordings were made in Paris a few years ago with Zutty Singleton on drums and another expatriate, Lil Armstrong, on piano. 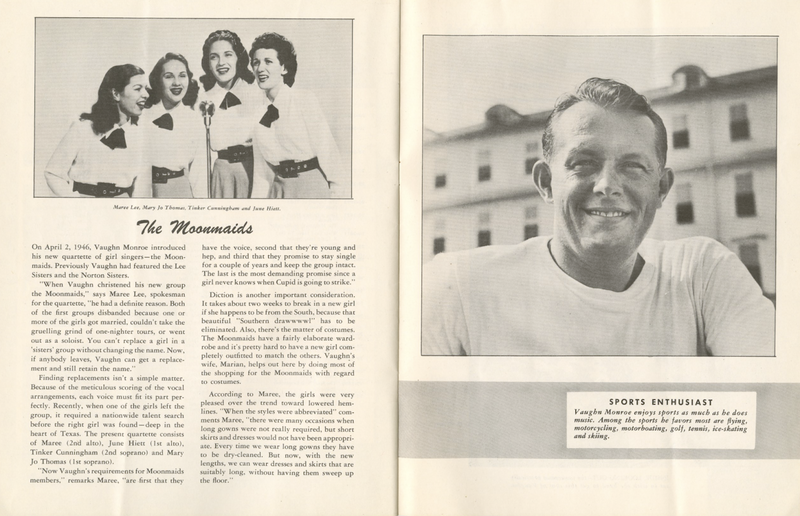 Lil, of course, is the former wife of Louis Armstrong and the pianist who played on the famous Armstrong Hot Five recordings. The trio format is perhaps the best possible one for Bechet's formidable creative talents. Playing the unorthodox soprano saxophone, Bechet's trumpet-like attack creates one of the most virile and vital sounds in jazz, and his powerful drive on up-tempo numbers and his great lyrical solos on ballads are wonderful things to hear. 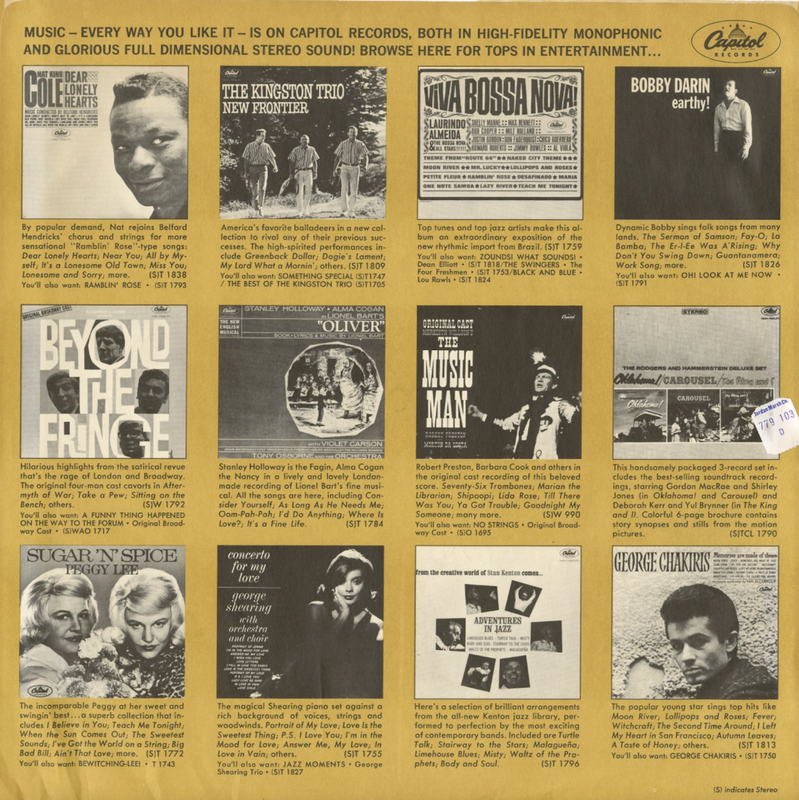 For more than thirty-five years, Omer Simeon, an obscure name to the casual jazz listener, has been on of the most creative and influential clarinet stylists in jazz. Widely respected by fellow-musicians, Simeon has been associated with many of the most important bands in jazz history, having both worked and recorded with such key figures as King Oliver, Jelly Roll Morton, Fletcher Henderson and Earl Hines. 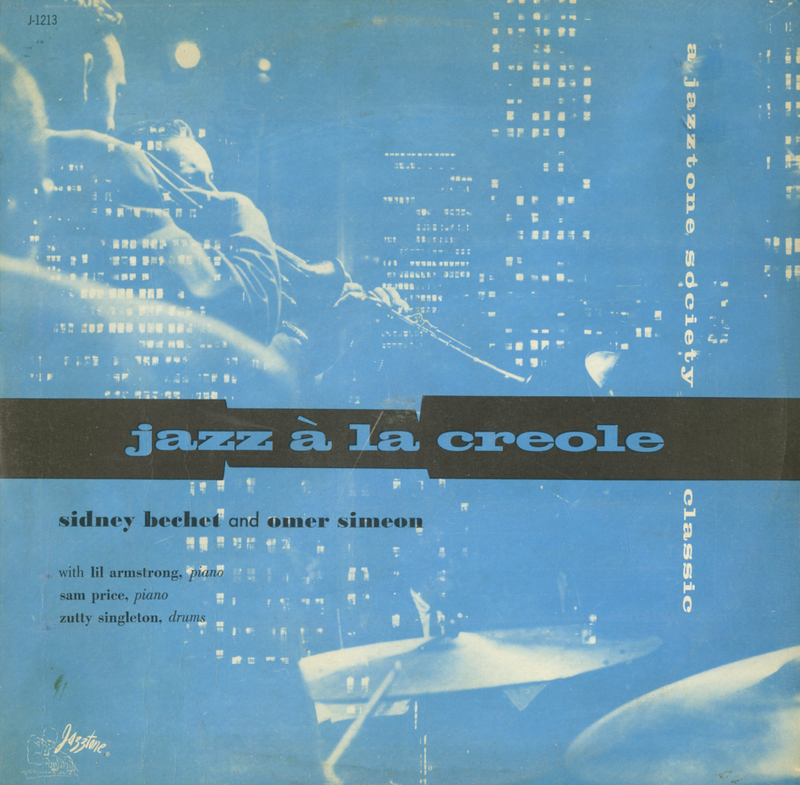 Born in New Orleans, in 1902, Simeon, unlike most Crescent City natives, was not affected by the town's heady and contagious jazz atmosphere. 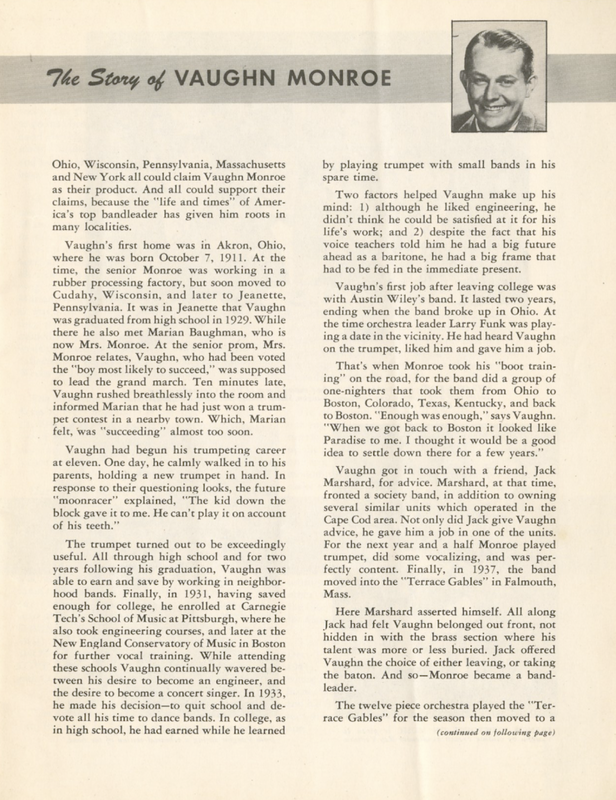 Instead, he waited until he got to Chicago to take up music as a profession, getting his fundamental training there with Lorenzo Too, a master of New Orleans clarinet style. His first professional job was with his brother's Al Simeon's band in 1920, and his first big-time engagement came in 1923, when he was twenty-one years old. 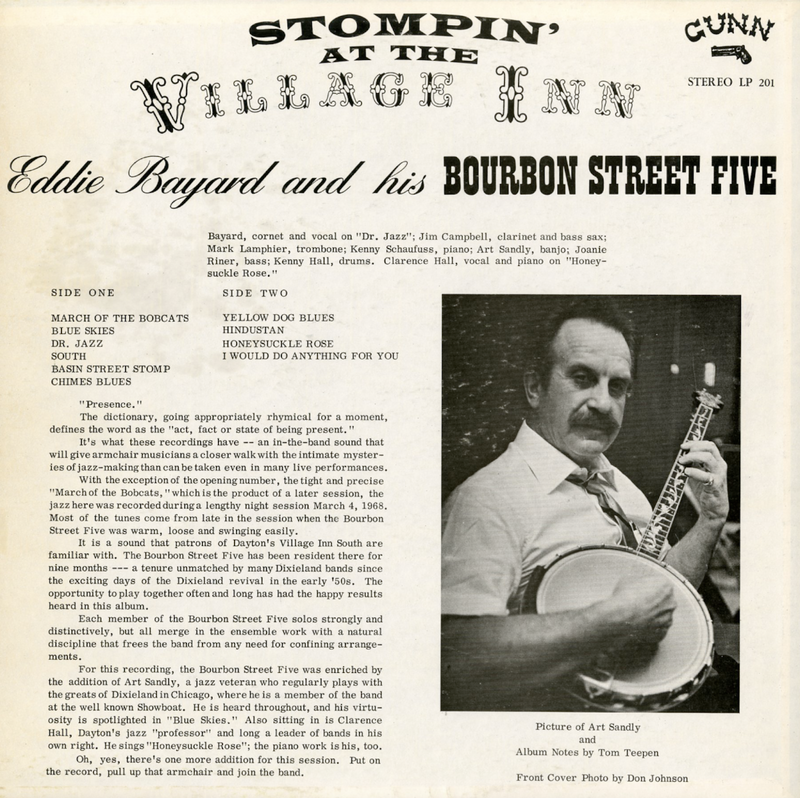 He became a member of Charlie Elgar's Creole Band, which played principally in Milwaukee. 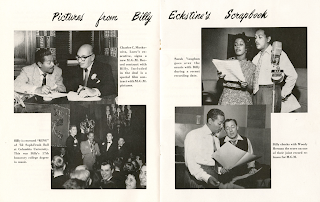 During his stay with Elgar, Simeon made his first recordings with a Jelly Roll Morton pick-up band. This was in 1926. 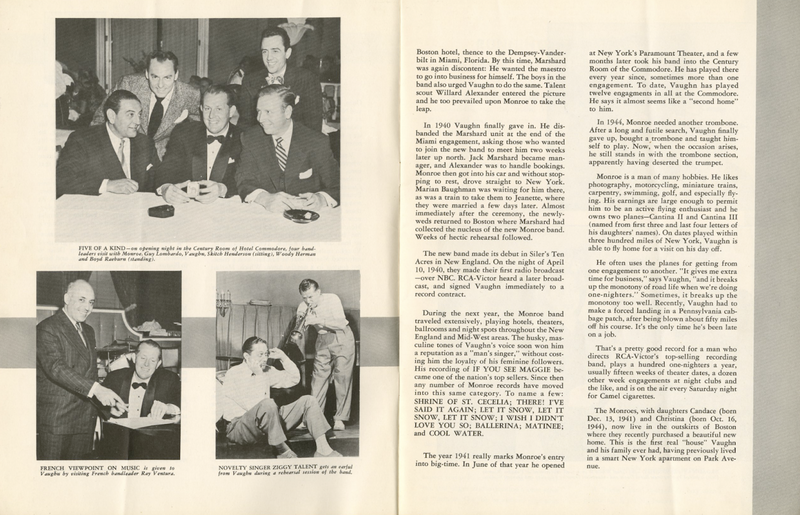 The next year marked Omer's joining King Oliver's Dixie Syncopators in New York, as a replacement for Albert Nicholas. 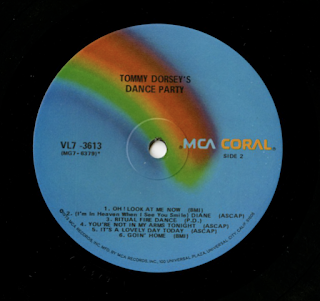 This was, however, the beginning of Oliver's decline, and, after a few month of touch going, the band broke up. 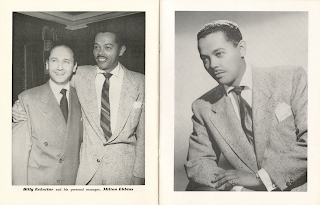 Soon afterward, Simeon worked with Luis Russell's band at The Nest in Harlem and recorded again with Jelly Roll Morton as well as with some of Clarence William's groups. 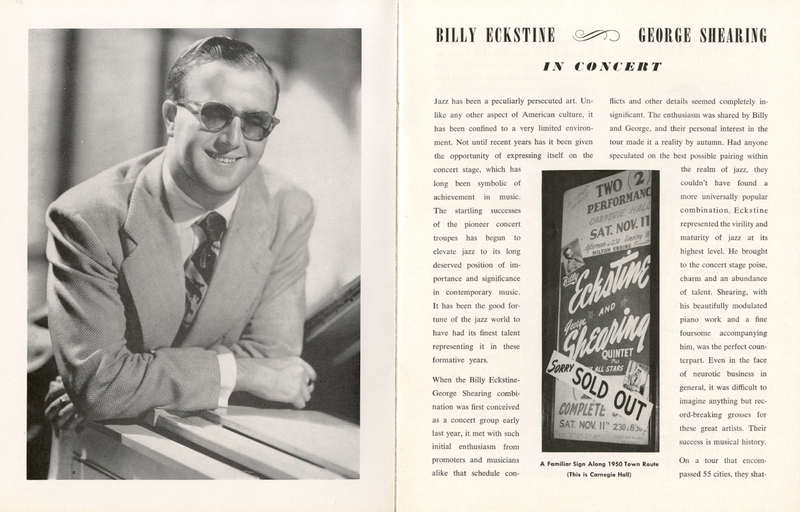 Then, in October 1928, he worked with Erskine Tate's theater orchestra in Chicago, playing accompaniments for both stage shows and silent movies. In 1929, he made the first of the few recordings to appear under his own name, with Earl Hines on piano. During the depression he joined up with Hines and played with the pianist's big band for nearly a decade. 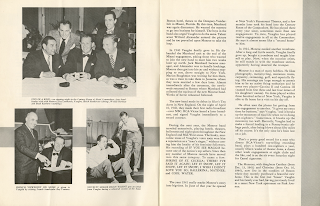 Serious critics of jazz, as well as leading musicians, have long acknowledged Omer Simeon as being among the greatest clarinetists of our time and one of the major influences, for instance, in developing the style of Benny Goodman. Long before Goodman's famous trio recordings, it was Jelly Roll Morton who realized that the trio form was ideal for a clarinetist, and some of Morton's most famous records were trios featuring Johnny Dodds, Barney Bigard and Jelly's favorite, Omer Simeon. 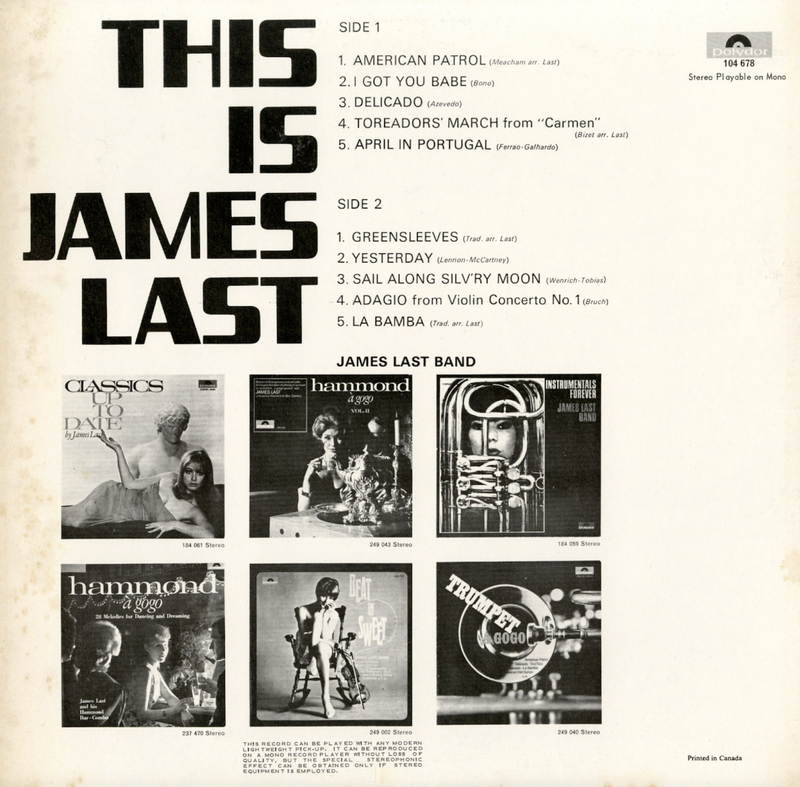 1973 Reissue featuring the same cover art as the 1966 reissue. 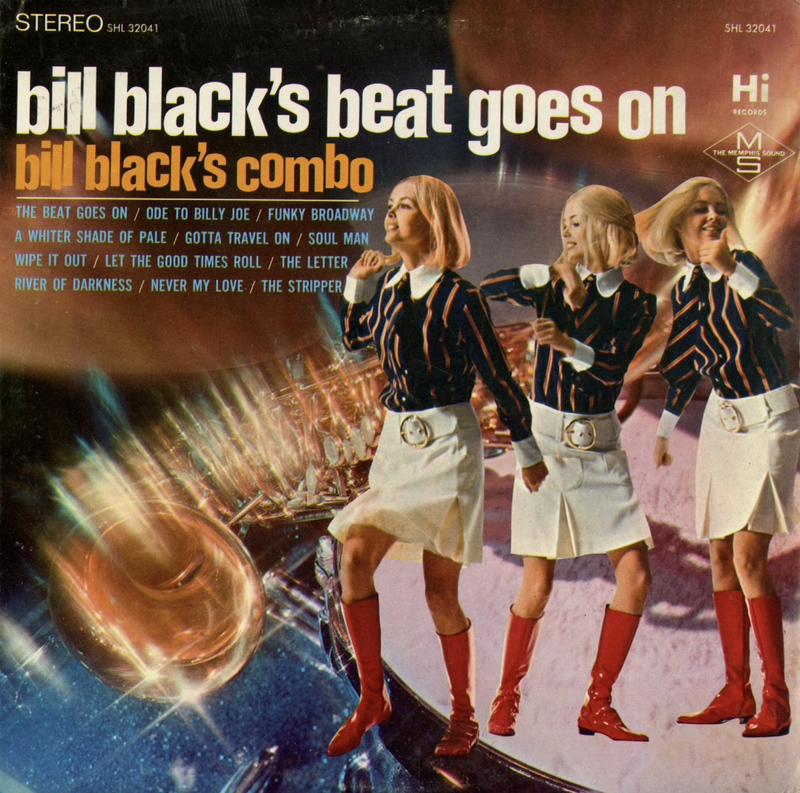 From Billboard - January 23, 1971: A well-produced album, coupling excellent material with fine production and performance. 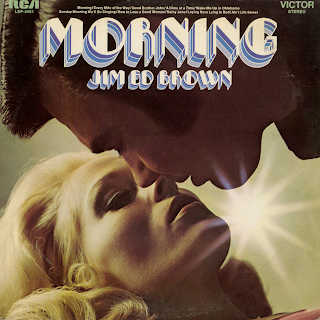 Jim Ed Brown starts this one off with his hit, "Morning," and includes "Good Brother John," "Ain't Life Sweet," and others. Class product with pop appeal as well. 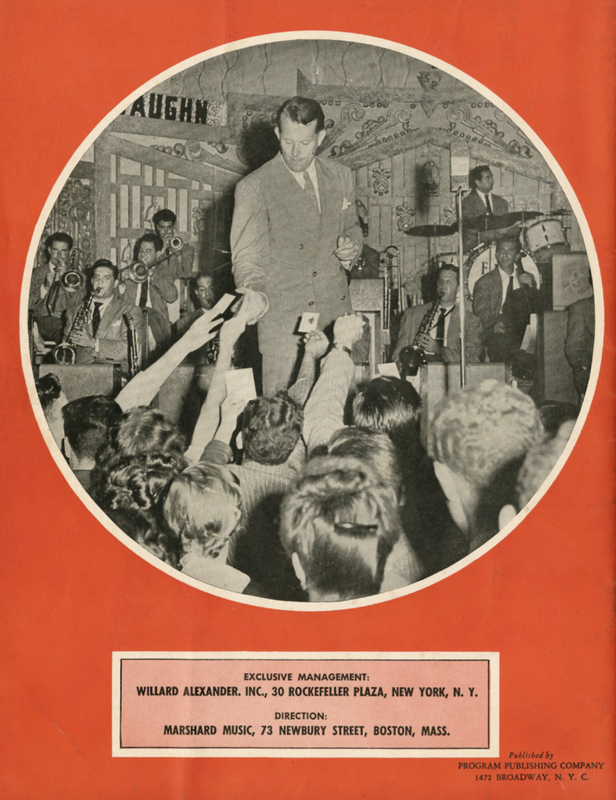 Executive Management: Willard Alexander, Inc., New York, N. Y. Direction: Marshard Music, Boston, Mass. 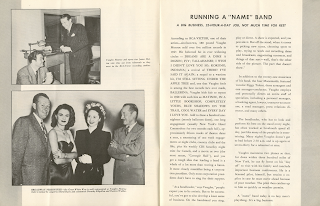 Published by Program Publishing Company, N.Y.C. 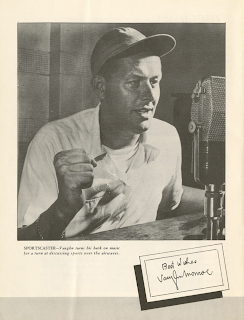 From Billboard - February 18, 1950: Orkster Vaughn Monroe will pull a Horace Heidt shortly when he builds a package valued show around Ziggy Talent, a comedy singer-musician who has been a feature of Monroe's work for almost a decade. 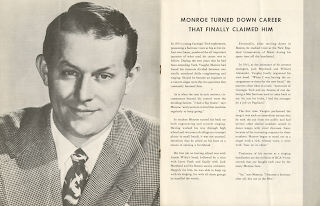 Talent will pull out of Monroe's crew for a tour of one-day theaters one-night concerts in early April. 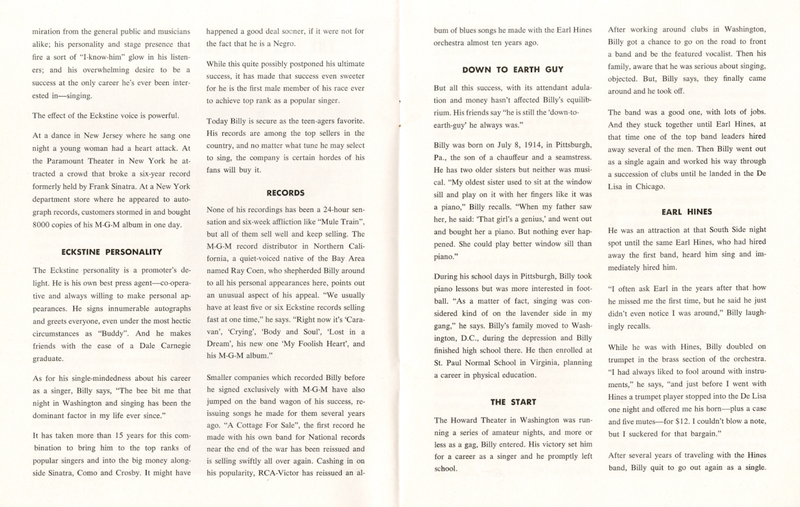 He will work with about four little known and little tried acts and a seven-piece band. The new package will be booked thru the Willard Alexander Agency. 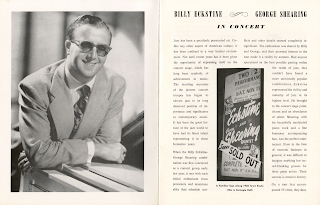 From Billboard - November 18, 1950: The Billy Eckstine concert tour, which features the George Shearing Quintet, will wind up with a flourish over the week-end, playing to sellout houses in a pair of presentations in Carnegie Hall here today (11) and in Uline Arena in Washington tomorrow (12). The concerts should gross between $35,000 and $40,000 it is estimated. Carnegie is scaled to $9,062 for each show, with tickets running between $4.80 and $2, and by Friday evening (10) the house was 95 per cent sold out for the combined concerts. Preparations were being made for stage seating of some 250 persons per show as well as standees. The Washington concert is close to sold out. Uline Arena has been scaled to gross about $20,000 at capacity. The combined potential grosses will bring Eckstine-Shearing concert tour gross figures (The Billboard, November 4) to over $270,000. 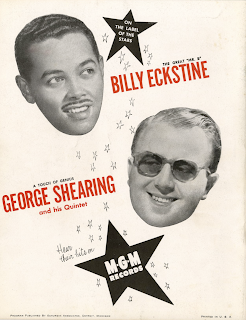 The Eckstine-Shearing tour was booked by Shaw Artists Corporation, which split commissions with represents the crooner. 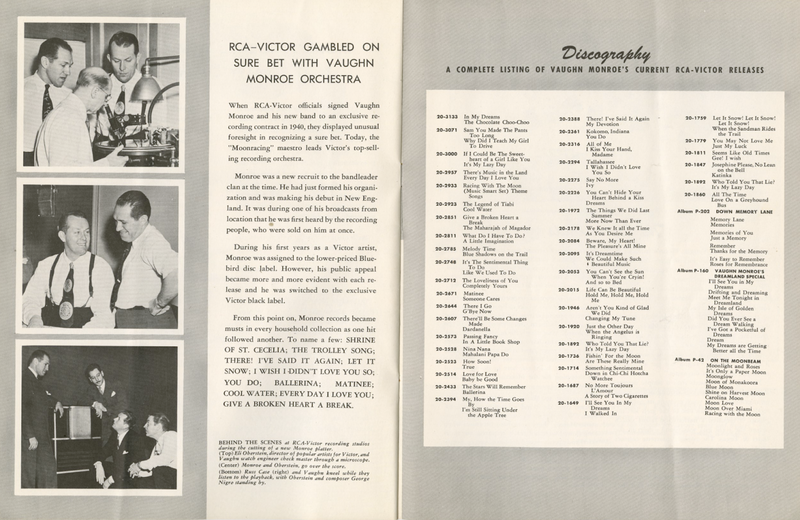 Dates were sold at between $2,500 and $3,000 per night depending on the day of the week and capacity of hall for the 37 play dates, against 50 per cent of the gross. Distributed by London Records, Inc. 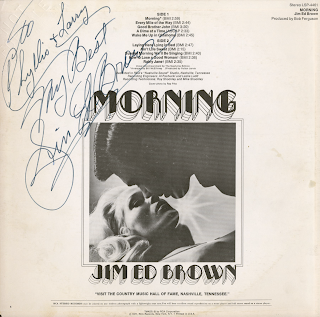 Recorded in Capitol Records' Studio A, Hollywood on January 15, February 11 and March 19, 1963. 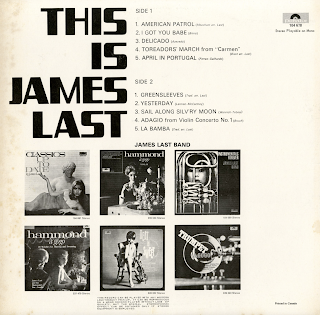 From the back cover: Instrumental is (what else?) unusual and flexible. A small unit's out front (and to the left for stereo listeners), backed by big brass and rhythm (to the right in stereo). The soloists involved: Don Fagerquist, trumpet; Dave Wells and Lou McCreay alternating on bass trumpet; Paul Horn, alto sax/flute; Justin Gordon, tenor sax/piccolo. 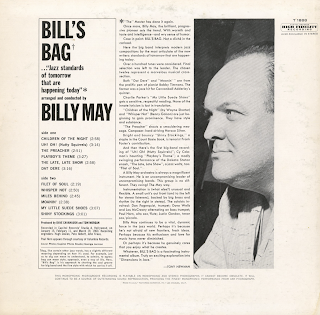 Also from the back cover: Bag, like certain other words, has a slightly different meaning depending on how it's used. For example, just as to dig can mean to understand, to admire, to agree; bag can mean style, approach, even a way of life. 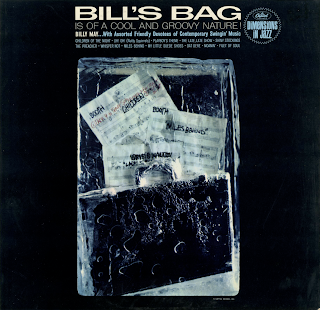 Here, "Bill's Bag" is his approach to charting the cool groove for big band and the fine style with which he carries if off. 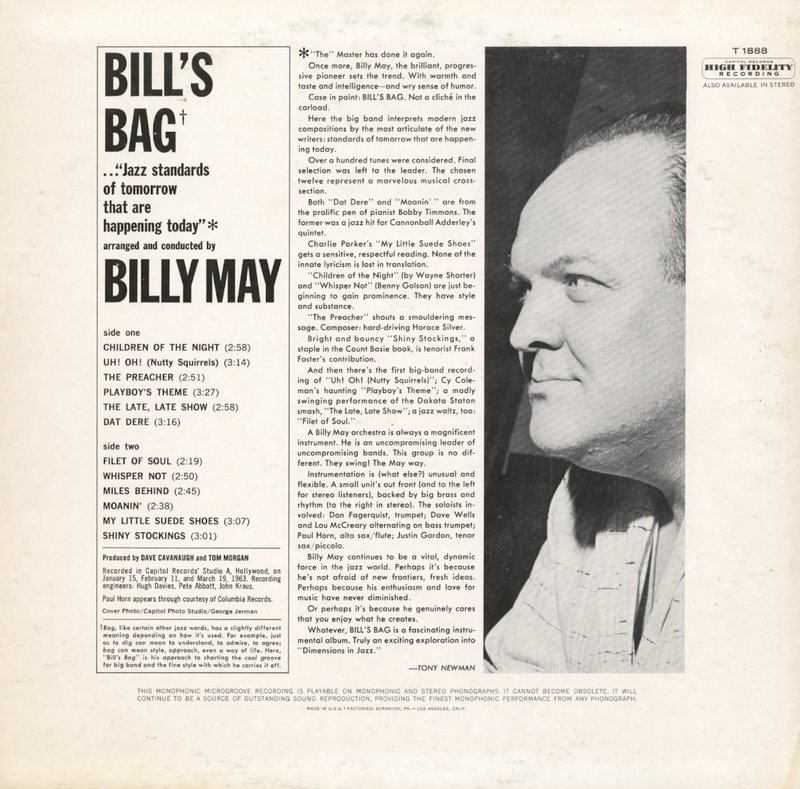 From Billboard - June 22, 1963: Bright, sharp, punching big band work touched with the May sense of humor and swing is the order of the day on this LP. 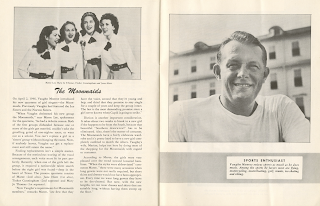 There's much here that middle of the road and hip no-40 stations can find as programming material. 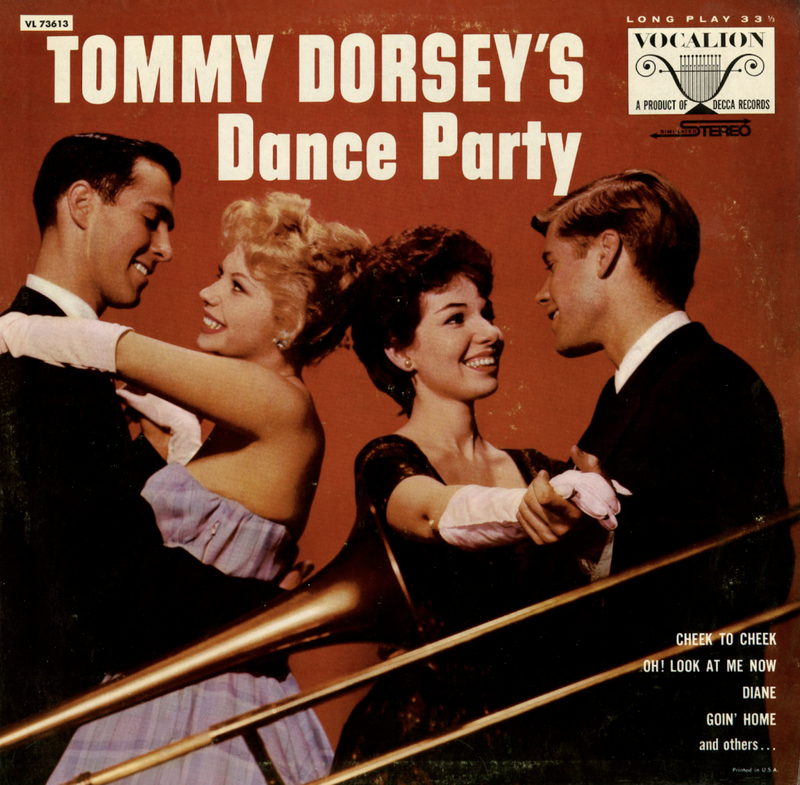 It's bright, big band work in a modern groove. "Whisper Not," "Filet Of Soul," "The Preacher" and "Late Late Show" are fine.